Beginning in the 1990s, fossils unearthed in Australia and New Zealand began to reshape the debates around some of paleontology’s most hotly contested questions: how dinosaurs and birds are related, whether dinosaurs were warm-blooded, and when and how the mammals began their rise. 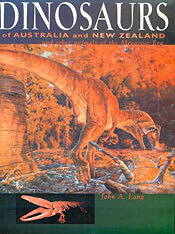 In this first comprehensive account of Mesozoic vertebrates from New Zealand and Australia, John Long shows that, while the fossil record from the region can be sparse and fragmentary, finds from such sites as Dinosaur Cove, Coober Pedy, Lightning Ridge, and the fossil trackways at Broome offer new and occasionally startling evidence that has the potential to challenge current views. Long’s up-to-date coverage includes the discovery in late 1996 of a new shrew-like mammal, Ausktribosphenos nyktos. Entries on individual fauna begin with a brief introduction, written to be accessible to the armchair paleontologist, that describes the prevailing climate and habitat during the relevant geological time period, followed by more technical information aimed at specialists, including type characteristics, location and other details about the specimen’s discovery. 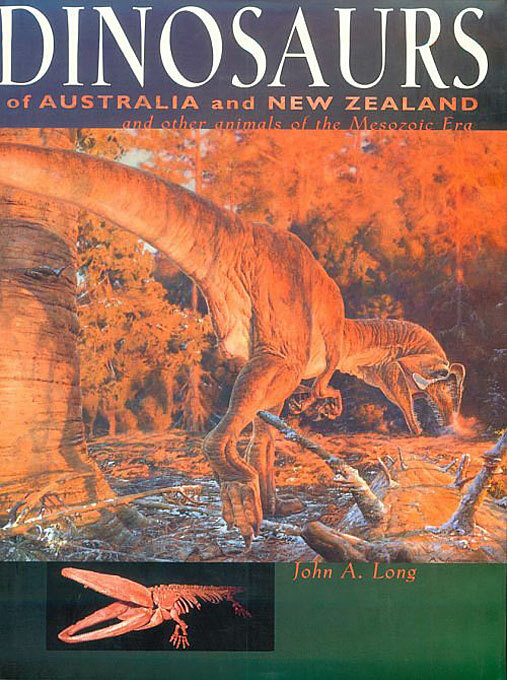 Dinosaurs of Australia and New Zealand is profusely illustrated with photographs of the fossils, maps, and newly commissioned life restorations by some of the leading dinosaur illustrators from Australia and the United States: Peter Schouten, Tony Windberg, Bill Stout, and Mike Skrepnick.